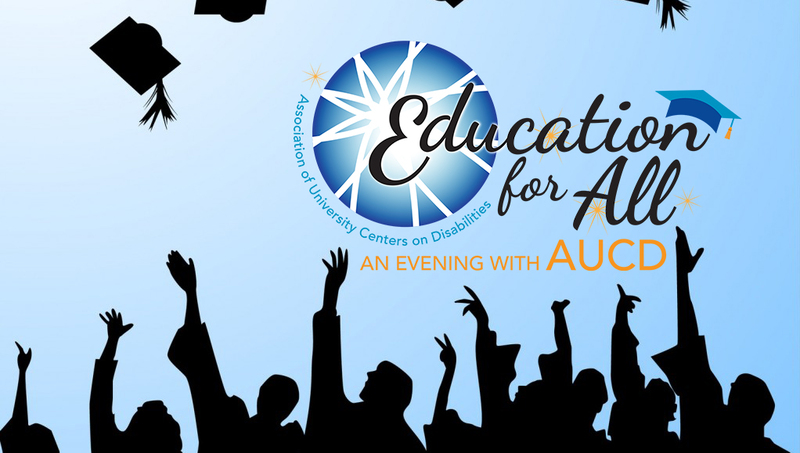 The Association of University Centers on Disabilities (AUCD) and its member Centers and Programs have worked for the highest quality inclusive education for over half a century. Working in conjunction with families and local schools, state education agencies, and federal offices of education, AUCD’s university Centers have spearheaded instructional strategies, inclusive education models, early intervention programming, education efforts that embrace cultural diversity, and many more innovations. Prior to the passage of the Education for All Handicapped Children Act (EAHCA, now known as the Individuals with Disabilities Education Act) in 1975, university Centers worked in communities and with local officials to develop education programs for children and youth with disabilities. Our Centers researched instructional strategies and interventions for children with Down syndrome, cerebral palsy, intellectual disabilities, and those who were blind and deaf. During the late 1960s and early 1970s, many of our Centers, in association with their universities and medical schools, created personnel preparation programs for special education teachers and developed doctoral programs to generate a pipeline of faculty who could prepare teachers to instruct students with disabilities. During the early 1970s, AUCD Centers worked with state and local education agencies to develop special education instruction in public schools while at the same time advocating for the passage of laws that would ensure equal access to education for any child with a disability. The research conducted by many AUCD members and the testimony of their leaders helped to ensure the passage of Public Law 94-142 that not only guaranteed access to a free appropriate public education for all children with disabilities, but also established such principles as instruction in the least restrictive environment, parent-school partnerships, and the individualized education plan, or IEP.In the decades that followed the passage of EAHCA, AUCD’s member Centers conducted research, piloted programs, and conducted personnel preparation in such areas as family-centered early intervention, positive behavioral interventions and supports (PBIS), universal design for learning, assistive technology, work and community-based transition instruction, and postsecondary education for youth with intellectual and developmental disabilities. With each advance in education for children and youth with disabilities, AUCD and its member Centers have been at the forefront. Our focus on interdisciplinary personnel preparation has meant that teachers, therapists, psychologists, school leaders, counselors, social workers, and many others learn about the importance of one another’s professions and the critical importance of understanding and sharing decision making with families and youth with disabilities. One of AUCD’s most recent efforts has been to help create and expand postsecondary education opportunities for youth with intellectual and developmental disabilities, thereby setting them on the path to careers and independence.As we look to the future, AUCD’s Centers and Programs will continue to conduct research and prepare professionals to improve the education of children with disabilities. Whether it is reducing and eliminating the use of restraints and seclusion, creating assistive technology that will make learning more accessible, or the preparation of educators and school leaders of tomorrow to ensure inclusive education for all, AUCD and its members will be leading the way.